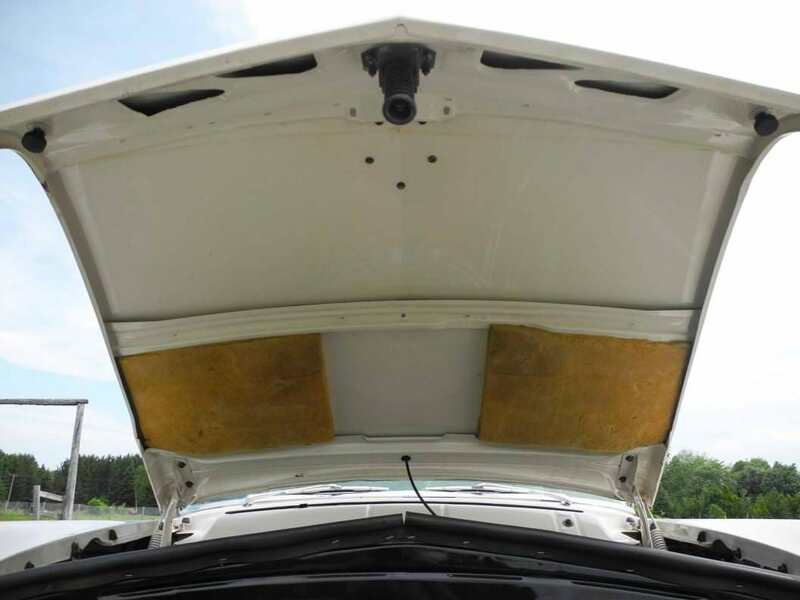 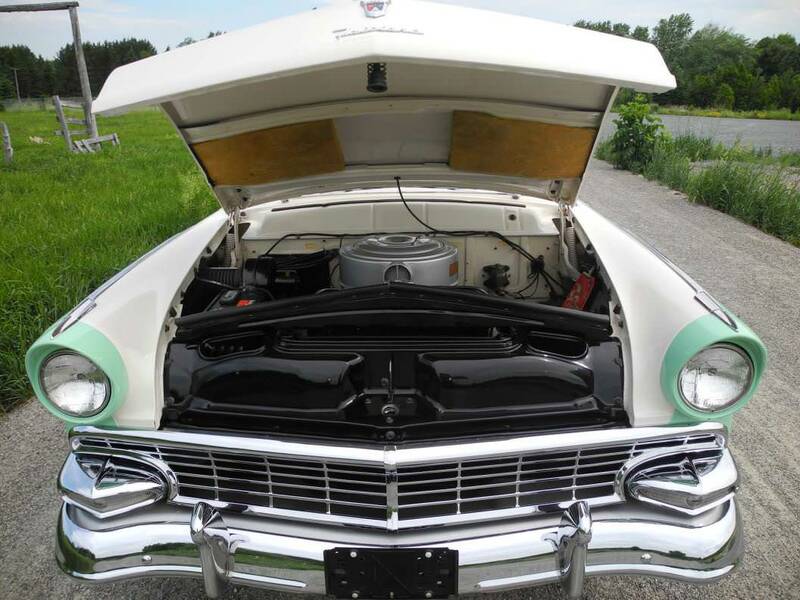 A complete frame off restoration was performed on the outstanding automobile in recent past; the undercarriage is just as dazzling as the beautiful two-tone Meadowmist green/Colonial white top side finish. 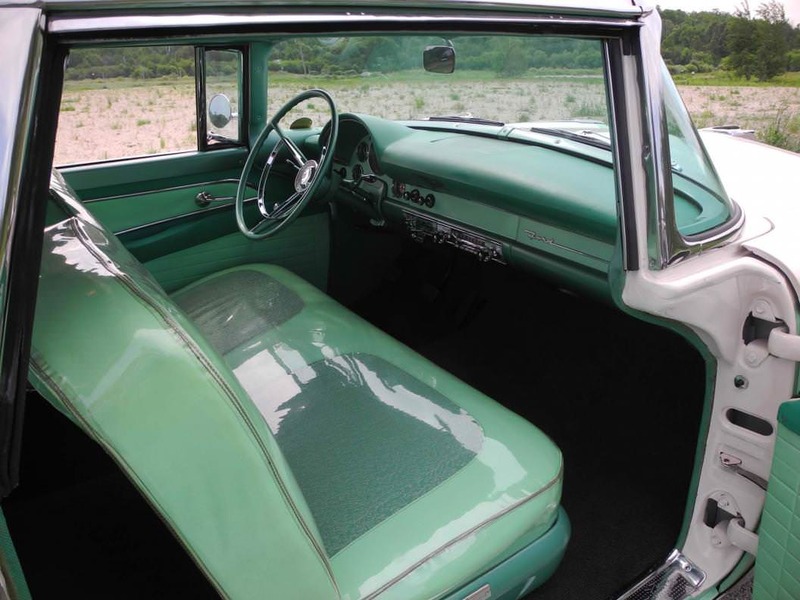 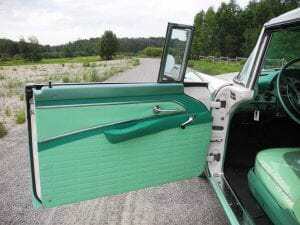 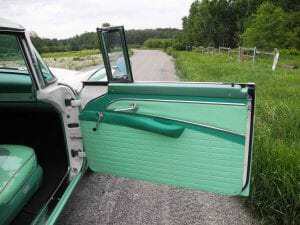 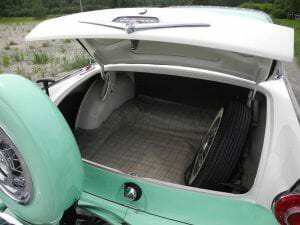 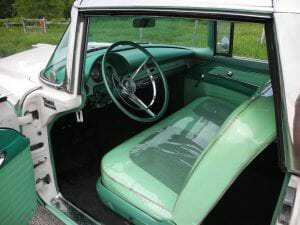 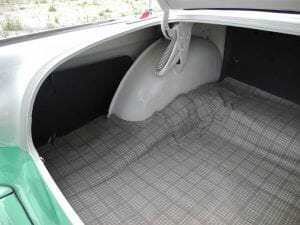 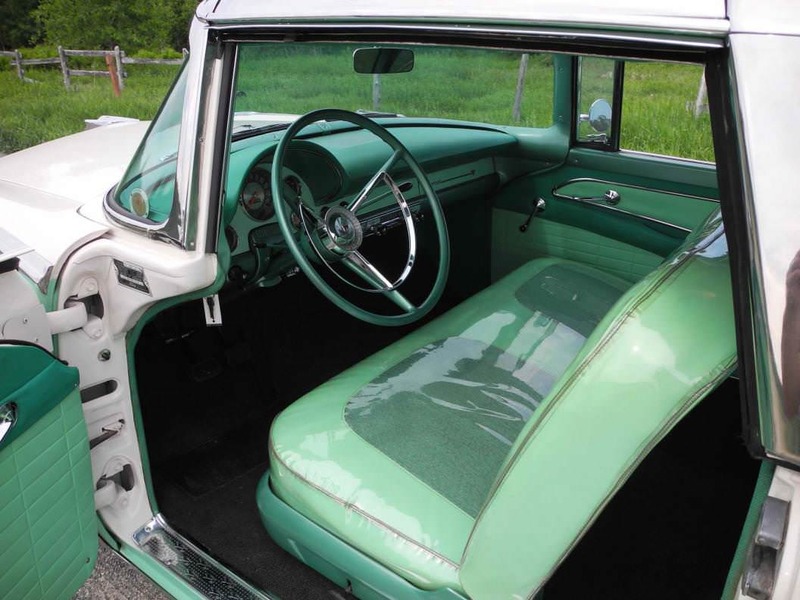 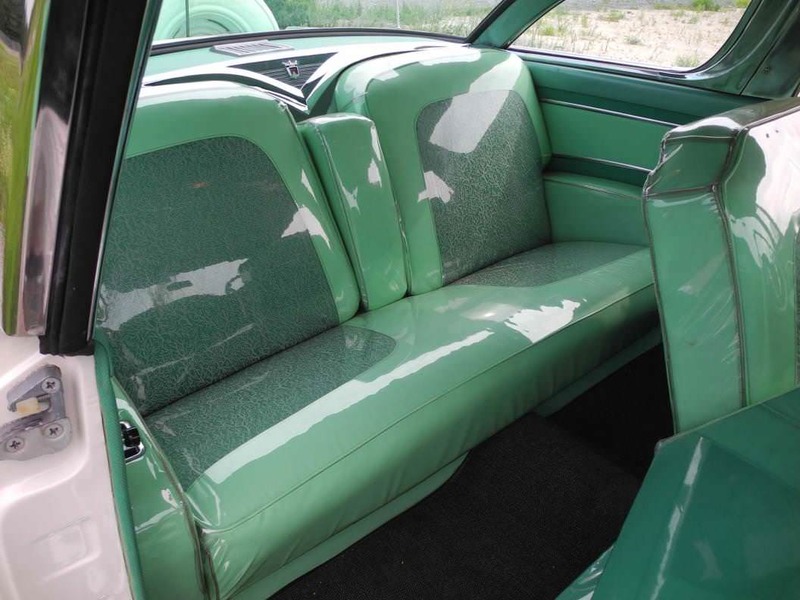 Flawless medium green/light green cloth/vinyl upholstery covered with rare “seethru” transparent seat covers is a unique feature. 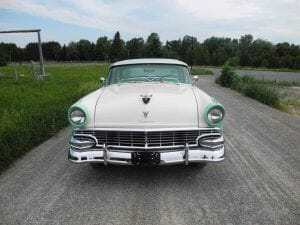 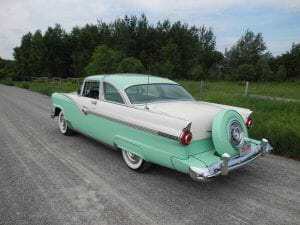 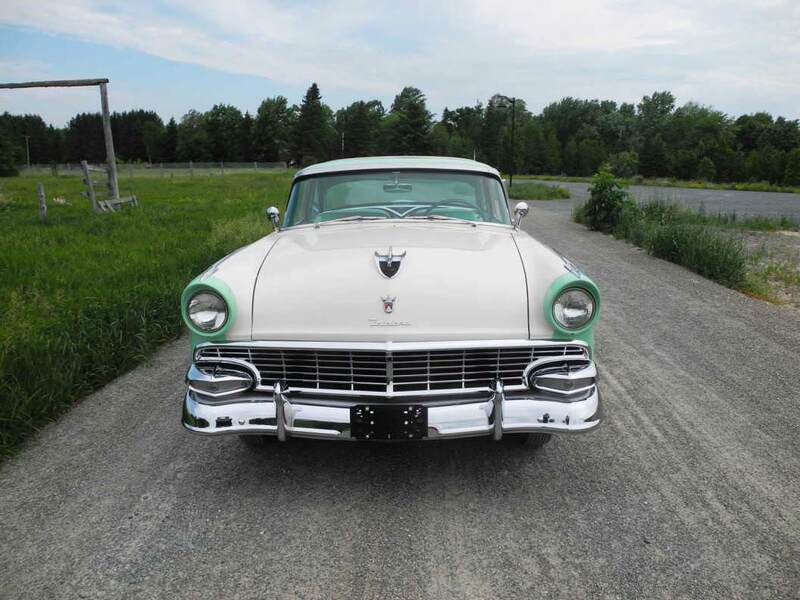 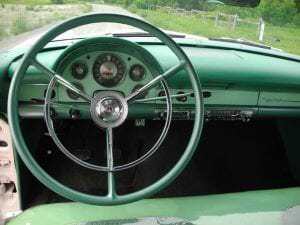 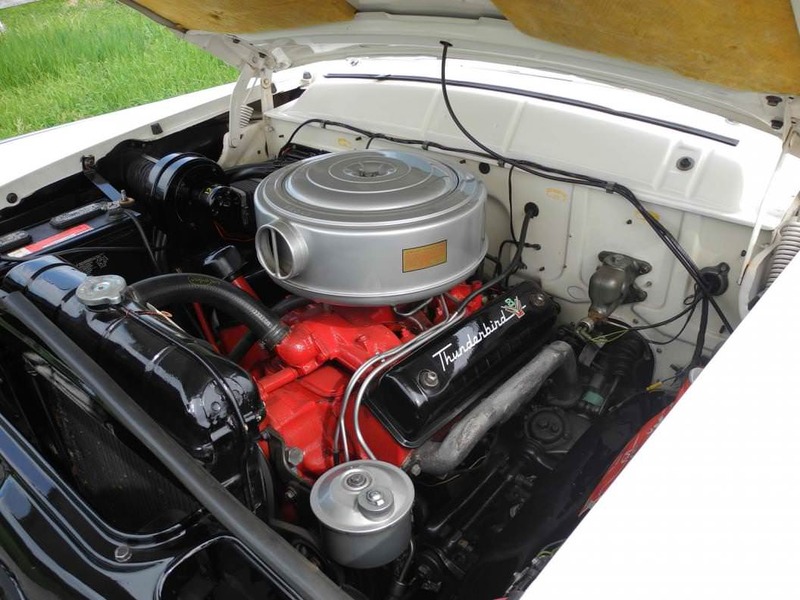 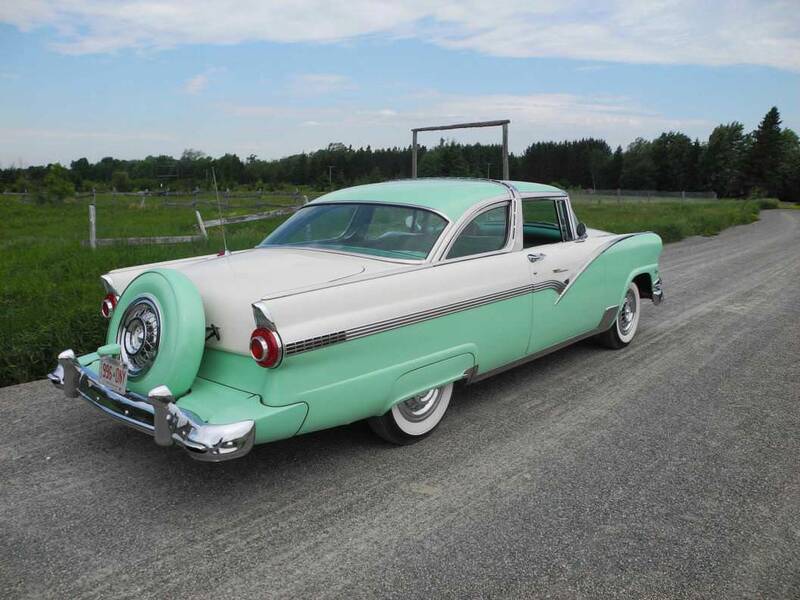 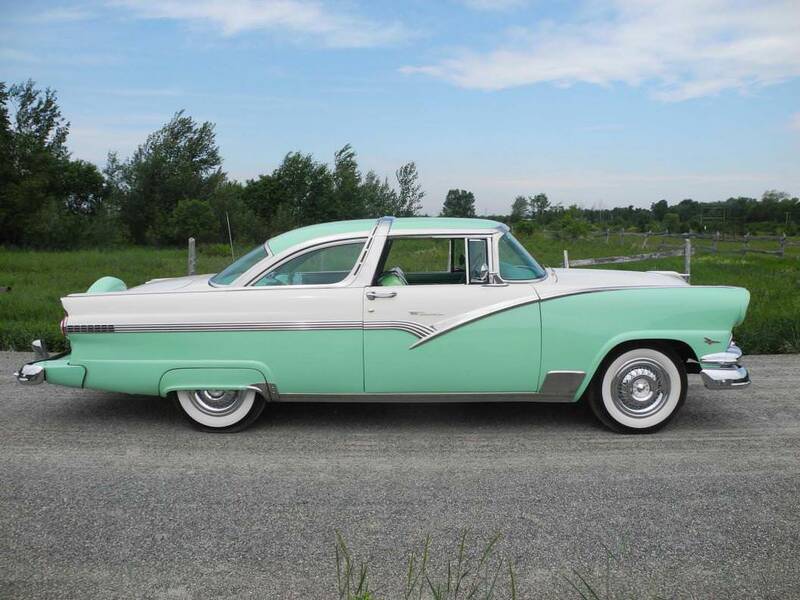 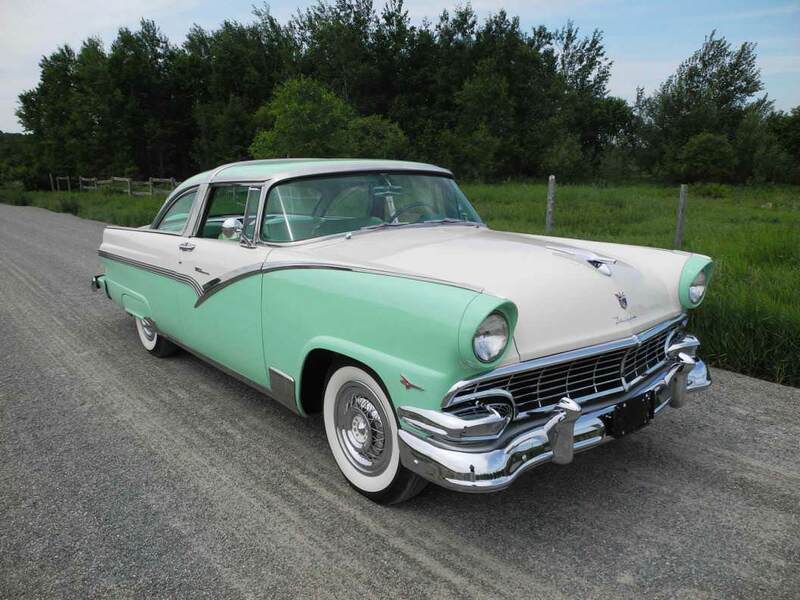 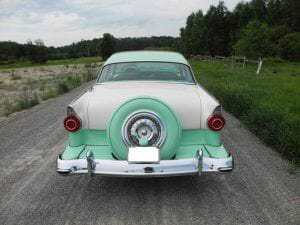 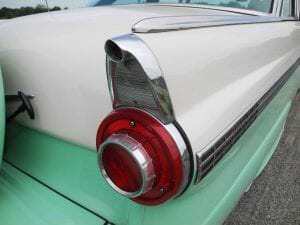 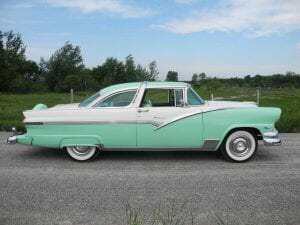 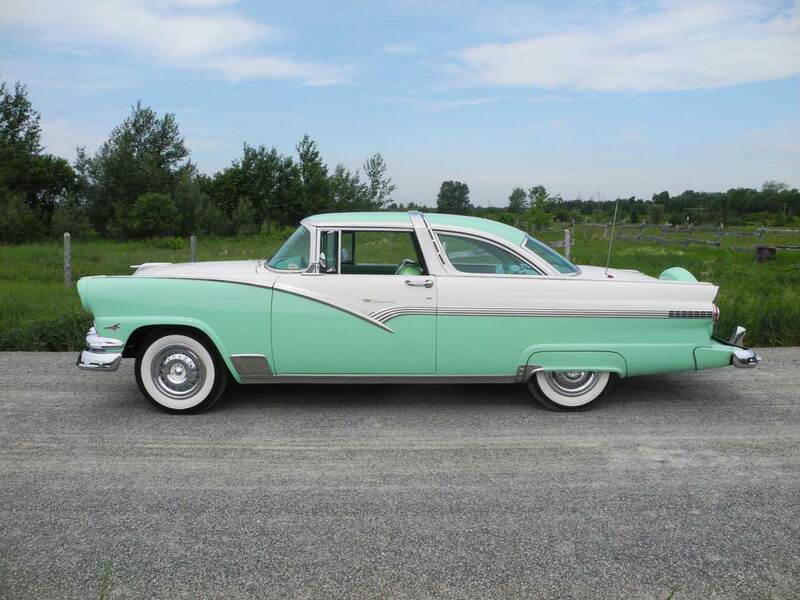 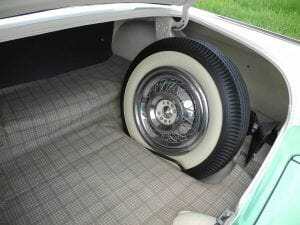 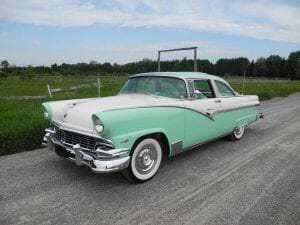 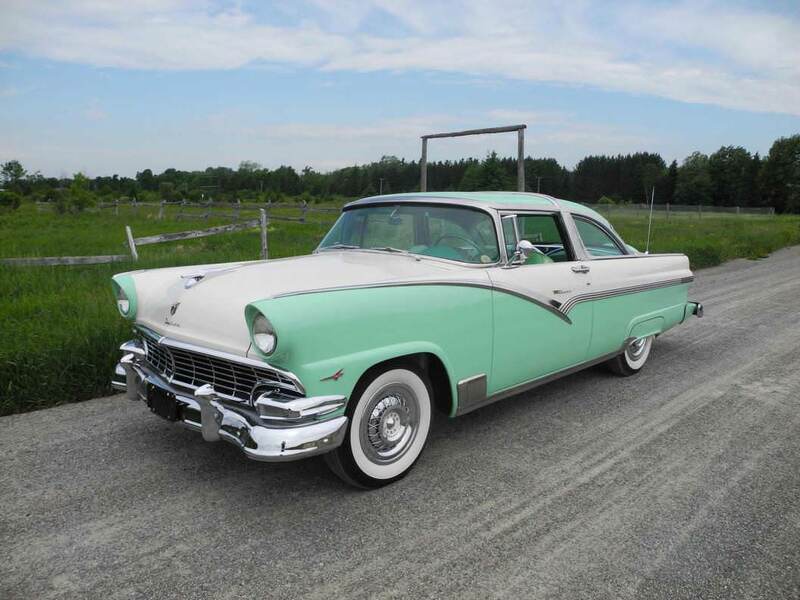 Options include dual exterior mirrors, rear fender skirts, continental kit, original AM radio & clock, front & rear bumper guards, power steering and wide white wall Firestone 6.70-15 pie crust side wall tires with correct wire wheel covers. 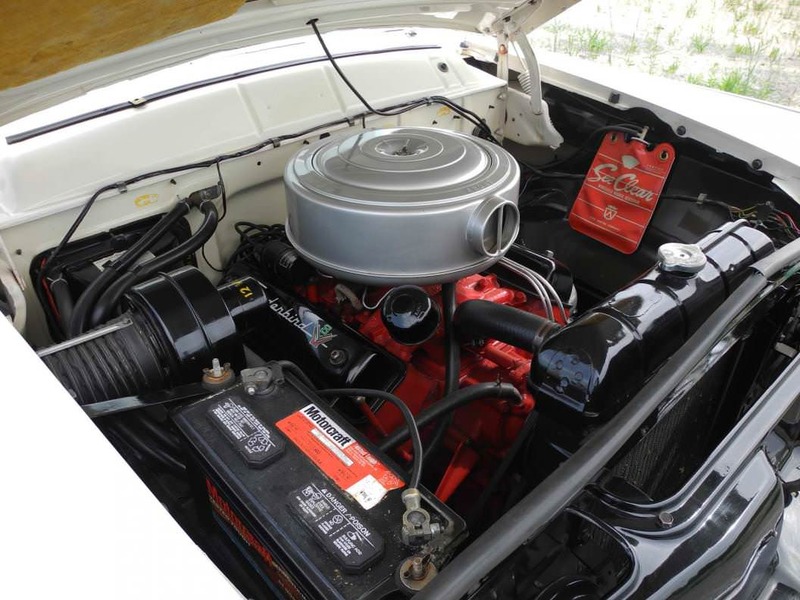 The famous “Y” block 292-200hp four barrel V8 with dual exhaust and mandatory column shifted three speed manual transmission provide the power. Drenched with show quality chrome and stainless trim including rocker moldings and stone guards enhance the appearance of this incredible collector car. Run & drives like new.